Aboveground Potable Water Tanks - 280 Ltrs - 2000 Ltrs. 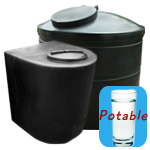 Potable means these water tanks are made using wras approved polymers which are suitable for drinking water storage. Aboveground Potable Water Tanks - 2500 Ltrs - 20,00 Ltrs. 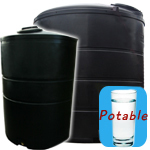 Potable means these water tanks are made using wras approved polymers which are suitable for drinking water storage. Underground Potable Water Tanks. 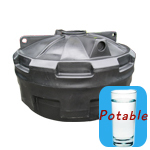 Potable means these water tanks are made using wras approved polymers which are suitable for drinking water storage.